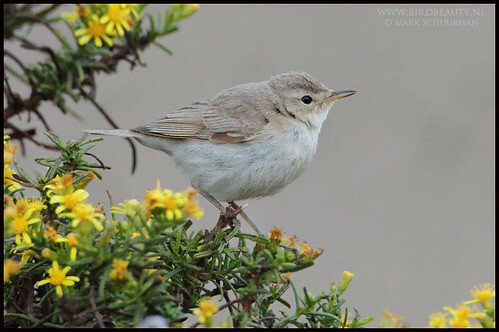 Autumn birding in the Sagres area of the Algarve nearly always turns up a big surprise. This Booted Warbler Iduna caligata was found during the afternoon on October 6th and remained until last light. When accepted, it will be a new addition to the Portuguese list. Despite the light fading in the early evening, Mark Schuurman captured this splendid image. 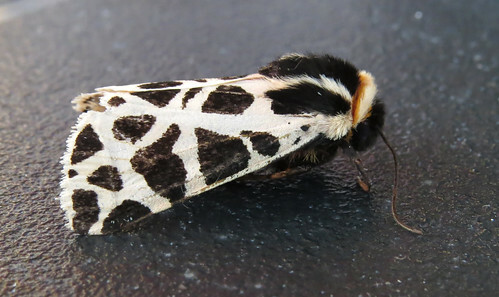 Many more great photos from Mark’s trips can be found on his website Bird Beauty. As the autumn has progressed, the diversity and number of migrating raptors has increased. Occasionally, they pass low enough as they enter the peninsula to allow for photographs, though the best opportunities come at the Cabranosa when the birds reach the southwest tip of mainland Europe. This Short-toed Eagle Circaetus gallicus performed nicely over Cabranosa in early October – one of 17 raptor species seen that day. The first flocks of Griffon Vulture Gyps fulvus arrived early in the month, bringing with them the now annually expected Rüppell’s Vulture G. rueppellii. 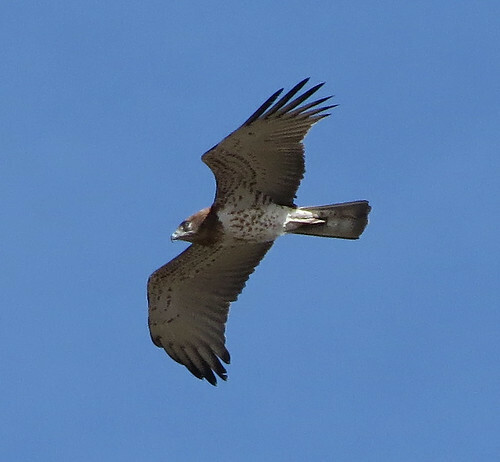 Careful scanning of any Griffon flock during October offers a decent chance of connecting with the species in the Algarve. 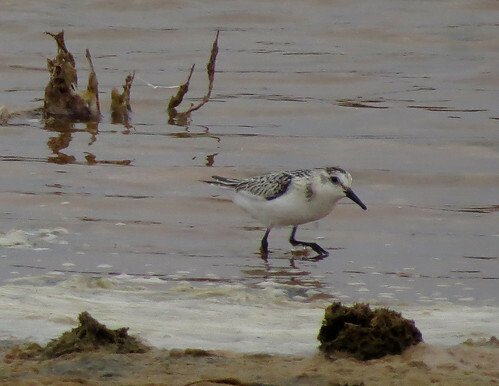 Occasional visits to Martinhal has produced small numbers of waders including Ruff Philomachus pugnax, Ringed Plover Charadrius hiaticula, Kentish Plover C. alexandrinus, Dunlin Calidris alpina and Sanderling C. alba. Night-time drives around the quiet tracks during late September turned up Red-necked Nightjar Caprimulgus ruficollis on a couple of occasions. 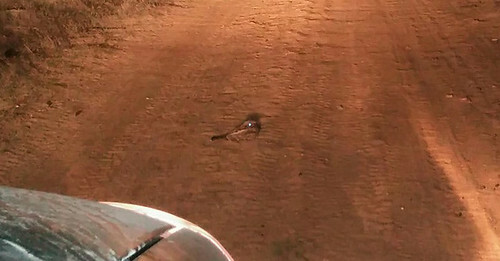 This one photographed with a mobile phone as it sat in the headlights near Loureiro. 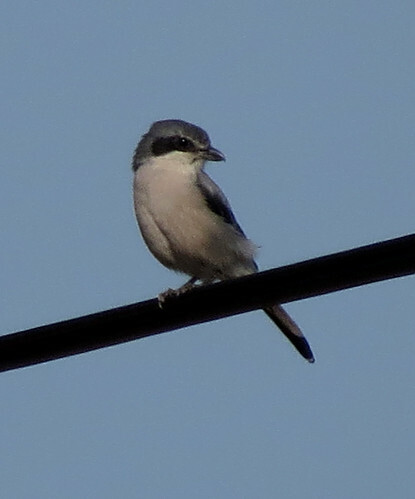 The majority of the once common Woodchat Shrike Lanius senator have now departed south for the winter, while a few Southern Grey Shrike L. meridionalis remain. Migrant Pied Flycatcher Ficedula hypoleuca and Spotted Flycatcher Muscicapa striata can be found across the area, with small numbers of Redstart Phoenicurus phoenicurus, Wryneck Jynx torquilla and the occasional Nightingale Luscinia megarhynchos. A small group of Ortolan Emberiza hortulana has been present around the Vale Santo area, while the first Richard’s Pipits Anthus richardi of the autumn arrived during the first week of October. 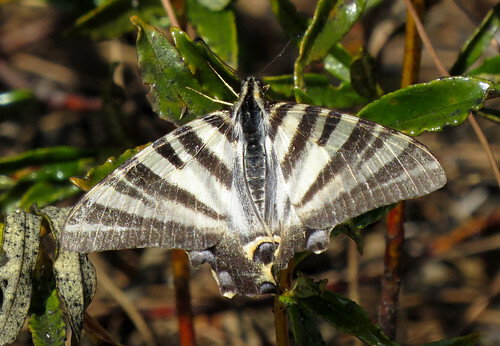 It is delightful to see more butterfly species on the wing – this Southern Scarce Swallow-tail Iphiclides feisthamelii one of several seen in the last few weeks. Swallow-tail Papilio machaon continue to be seen each day, while Painted Lady Vanessa cardui is a species which has become more apparent in the last couple of weeks or so. 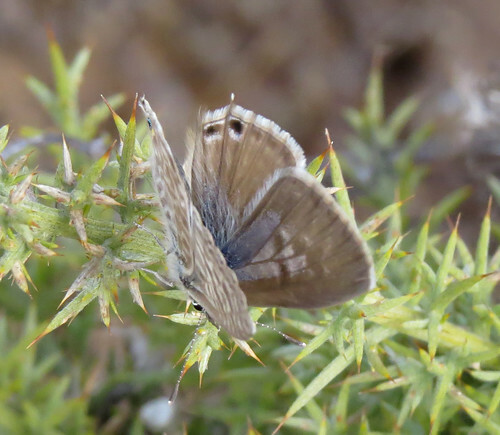 The latest generation of Lang’s Short-tailed Blue Leptotes pirithous appeared on the wing in late September, and occasional Clouded Yellow Colias croceus can be seen. The Portuguese autumn features a lot of Odonata… Red-veined Darter Sympetrum fonscolombii is by far the commonest species, though the numbers of previous autumns are still awaited. 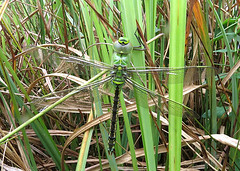 Three species of Anax can be seen well away from water… imperator, ephippiger and parthenope – for English readers that is Emperor, Vagrant Emperor and Lesser Emperor. 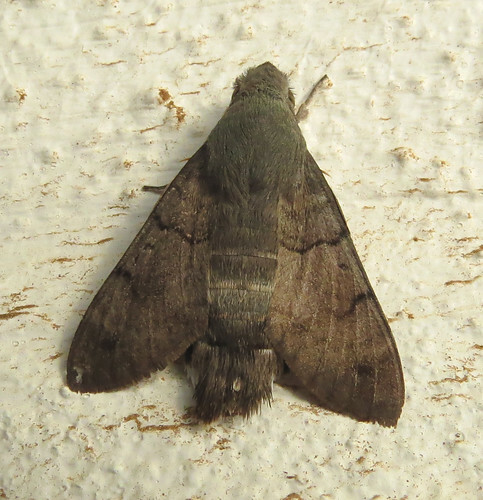 Back to Lepidoptera, and I’m currently missing the use of the MV lights and portable traps that I’m allowed to use at Tophill Low NR… the second site record of Black Rustic Aporophyla nigra was trapped recently… credit to my good friend Doug Fairweather for the time he is putting in during my time here in the Algarve. 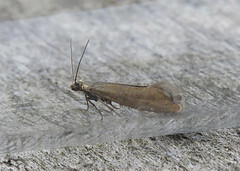 However, despite the lack of moth trapping equipment, I’m still able to find a good diversity of moths… one of the commonest macro moth species is Cymbalophora pudica. 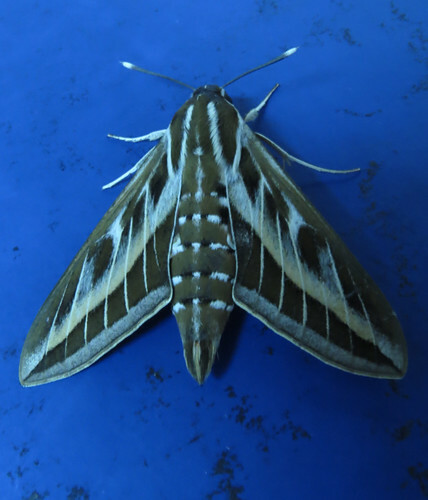 The lights we used in Loureiro were those that offer light to the tourists while they have dinner… not great for moths, but another Striped Hawk-moth Hyles livornica appeared in late-September. This fast moving Hummingbird Hawk-moth Macroglossum stellatarum took a little time out and posed on a wall on one of the last buildings that is built on the southwestern tip of Europe… what else can be found???!! !